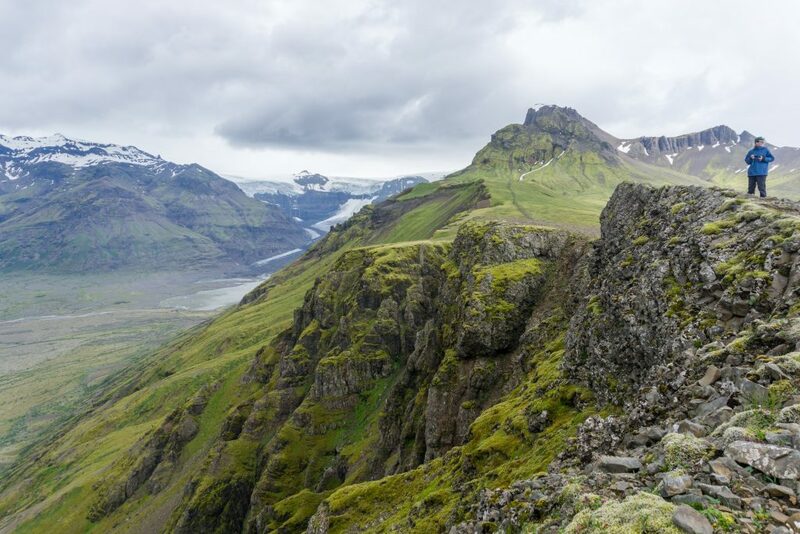 Skaftafell in Iceland is a great area for one day hikes. It’s accessed directly on the Ring Road and therefore the local campsite is a truly huge affair – like an improvised campsite in a movie where aliens have just landed. Since we were just passing by, we were looking for a day hike which would be challenging but would not destroy us for the rest of the day. 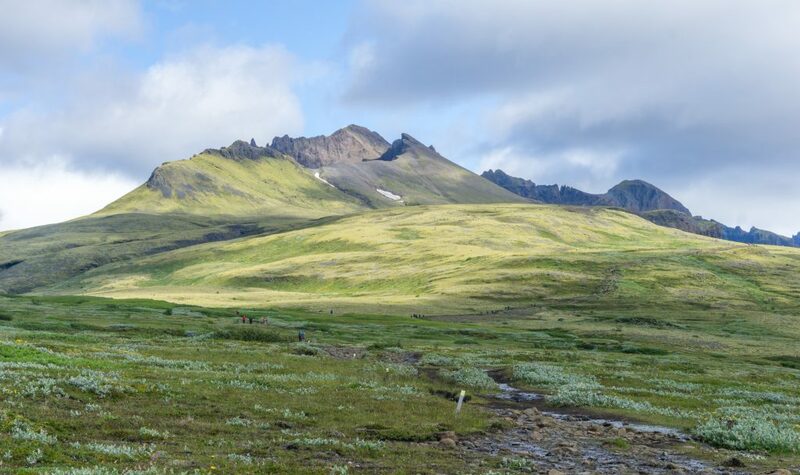 We decided to do Skaftafellsheiði, about a 17 km loop. Me, Anna and a couple of guys who picked us up on the way (thanks buddies!) started to hike up directly from the city centre. The yellow sticks and signposts with milage told us where to go. We went to see the waterfall Svartifoss first but soon after rejoined the Skaftafellsheiði trail. The bottom part especially has many side trails which you can cross and combine as much as you like. 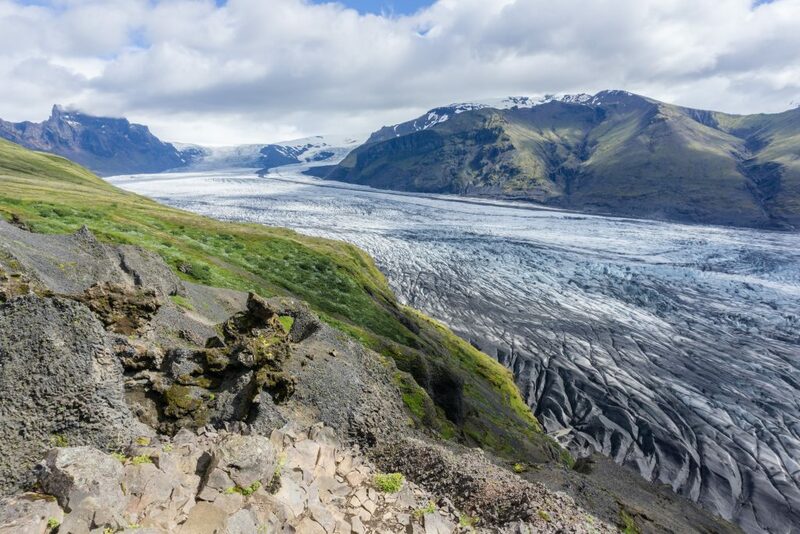 Once we got a little bit higher, we spotted the tongue of glacier Vatnajökull. 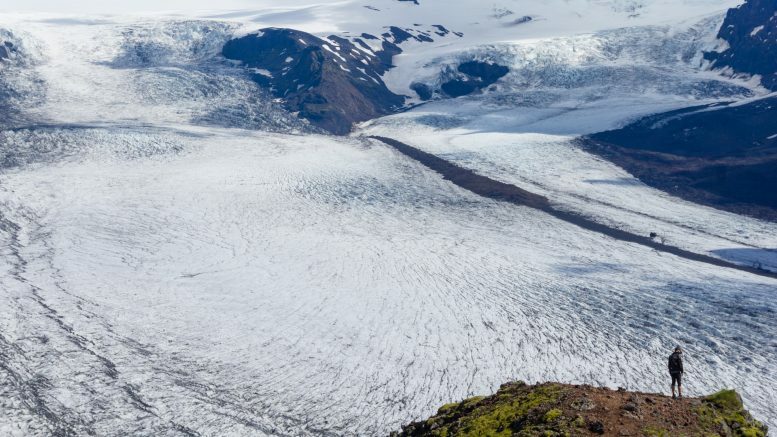 An epicly long glacier was spreading across the valley bottom from its massive base on the mountain tops. It looked like a pot of porridge had overflowed and mushy oats were flowing in all possible directions. Lots of people walk just to this first view point so going higher was less busy but, as we expected, more windy. The higher we got, the more spectacular the views were. Once we reached the final viewpoint at 700 m above the sea level, we started our half circuit from the southern side of the mountain Kristínartindar. The easy-going path was becoming a bit more difficult thanks to fast showers and strong wind. After an hour we reached the western valley with river Morsá. It was so different from the valley we had seen just an hour ago! The mountain ridges were brown, the river dark and the valley bottom grassy. Going back to the visitor’s centre was easy but quite a long way. Boardwalks helped us to overcome the most muddy parts but not the less muddy parts so we ended up dirty anyway (we were actually quite dirty before so it didn’t make much of a difference). 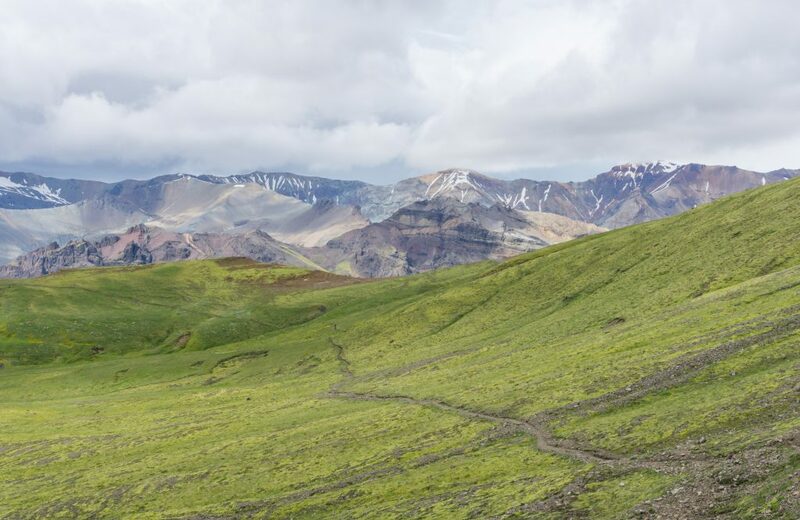 4 Comments on "Hiking Skaftafellsheiði in Skaftafell, Iceland"
Will it be possible to do this hike, do you think, in mid-April 2019?! Great guide man! 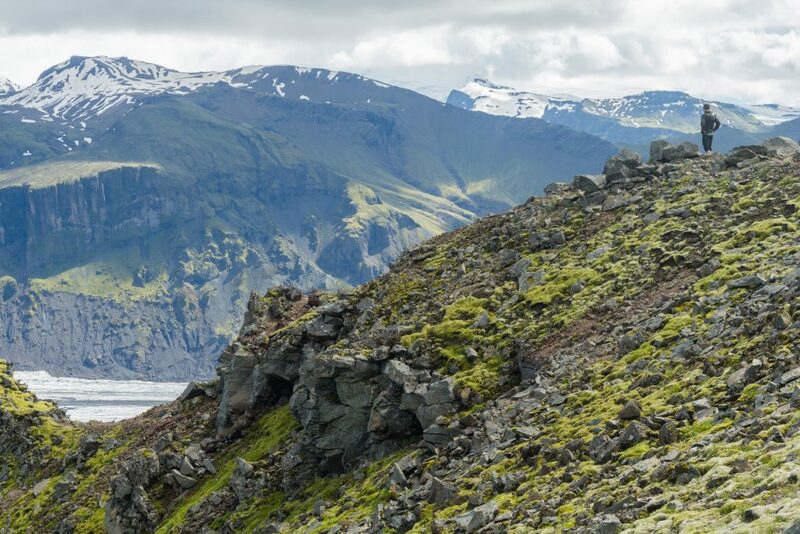 I’m about to go to Iceland for 8 days and I’m trying to do as much quality hiking as possible. This really helps me out!